You may have noticed that more of trade book publishing is finally catching on to what so many of us have known for a very long time: comics are amazing. Imprints are actively acquiring graphic novel projects like never before and the influence of highly illustrated books can be seen in every category and genre under the sun. Trade publishing works very differently than the comics world, and you need to have literary representation in order to get your work seen by most of the larger publishers. 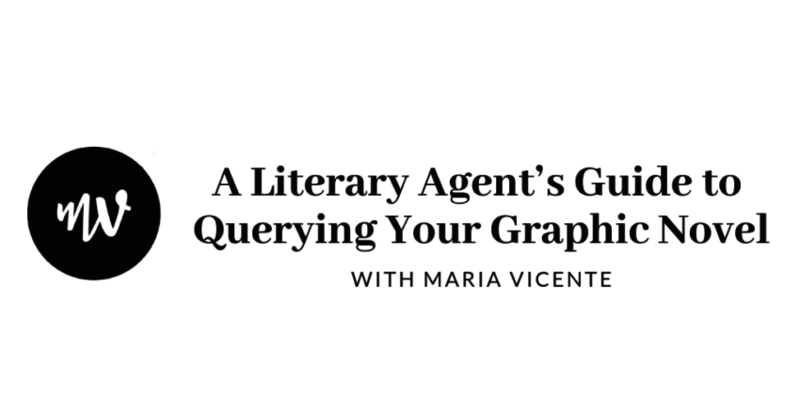 Since there is so little information available for querying literary agents specifically with graphic novels, this post will help those of you hoping to find representation for your graphic works. Now, let’s take a closer look at the topics specific to graphic novel projects. Does my graphic novel need to be 100% complete? No, but the amount of finished work depends on your specific situation. If you are solely the writer of a graphic novel (you do not have an illustrator or sample pages attached to the project), you will be most successful finding representation with a complete script. Why? Your words will need to sell the entire story. Since graphic novels are such a highly visual product, agents need to know that you understand the format and can write a script that guides the illustrator through the story in panel form. Having a complete script is especially important for debut writers without prior comics experience. At the very least, you should have two or three sample chapters of the script complete as well as a full synopsis (written in paragraph format) that covers the entire plot of the project ready for submission. If you are querying a graphic novel as an author/illustrator (or you have a specific illustrator attached to the project), then you probably don’t need a complete script. Why? You can rely on the art to sell some of the story. In this case, fully illustrated sample pages are a must—and I still think it’s a good idea to have a longer, script-only sample to share. That full synopsis I mentioned in the previous paragraph? Also helpful. What material should I have ready to send literary agents? If I read a pitch (query letter) I love for a graphic novel project, I will ask the creator(s) to send me a full pitch package in PDF format. These are the things I want to see in this document: project overview; book specifications (size, number of pages, category/genre); character profiles; full synopsis; comparison titles; target market; sample pages and/or sample script. Do literary agents represent creative teams, or just individual writers? While it’s super common in the comics world to have multiple creators signed on to a project from the beginning (tasks like writing, illustrating, lettering, coloring, etc. are often tackled by different people), this practice is not as common in traditional publishing. Literary agents generally sign individual writers or illustrators for representation. Some might require all members of a creative team have representation before submitting a book to publishers; others might choose to represent team members for a specific project. It is common for publishers to source illustrators for projects they acquire. If you are a writer, you don’t need to worry about finding an illustrator for your graphic novel—this is a task your future publisher can handle. And if you are an author/illustrator and know you will need help with certain parts of the art (like lettering, for example), it’s best to be upfront about that with your agent and publishing team from the very beginning. Traditional publishing hasn’t sorted out a standard way to incorporate creative teams into graphic novel projects, so the makeup of creators on any given project varies widely. If you already have a team assembled for your project, you can definitely query the project that way—just be aware that the responses will vary. Is there a standard format for graphic novel scripts? How many pages should my graphic novel be? What file formats are acceptable for submissions? There isn’t a script format universally agreed upon in traditional publishing. Just choose a structure you’re comfortable with and stick with it. Consistency is important. However you arrange the script, make sure it has a very clear breakdown of pages and panels. The reader needs to visualize the project as an actual comic! The page count of graphic novels are all over the place. My advice? Find some published comparison titles (based on the target age range, category, genre, content, etc. of your project) and see how long they are. Keep in mind that if you’re querying a graphic novel project for representation in the trade book market, it needs to be a full-length book—not a serialized comic. When it comes to file formats, things like sample pages and pitch packages work well as PDFs. Your script should be accessible in Word format. Sample illustrations could be in any image file format, like .jpg or .png, just keep the file sizes manageable for email. There’s no need to send high-res files as submissions material. What about illustrated books that aren’t “graphic novels”? Whether it’s an illustrated gift book or a hybrid prose/art novel, most of the advice you’ll find about query letters is applicable. Anything nonfiction is generally pitched and sold based on a proposal; anything fiction is generally pitched and sold with a full manuscript attached. All of the advice in this post is applicable to graphic nonfiction, graphic memoir, etc. Think of “graphic novel” as an umbrella term for many highly illustrated books. If you are a writer with a fictional project that includes select illustrations (but it isn’t a full graphic novel) and you’re not creating the art yourself, you’ll want to include illustration notes in the manuscript. This is very similar to picture book manuscripts; you can read more about the intersection of words and art in picture books here: How Visual Thinking Improves Your Picture Book Manuscripts. Are there other graphic novel-related resources I should check out?